In order to sell your products in stores, you’ll likely need to purchase bar code numbers that uniquely identify each individual product. 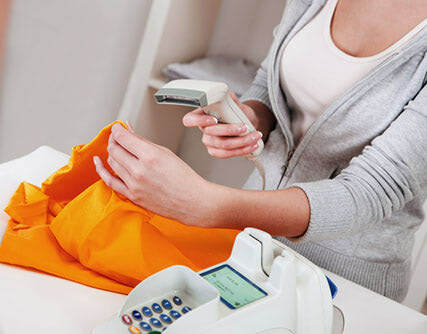 This allows your products to be scanned at the point of sale by your customers and for the store to keep track of your inventory levels. As new types of products come to market, new standards and methods are developed to ensure that unique number combinations and formats are continuously organized or created. Hence why there are so many different types of product identifiers available for use in commerce today. What is a GTIN Number? The Global Trade Item Number (GTIN) is the family of data structures (bar code formats) that are most commonly used internationally. If you’re in the market to buy bar codes for your items, you’ll likely want to purchase a type of GTIN number. First, let’s learn a little bit more about the GTIN family of product identifiers. GTIN is an umbrella term, this family of codes includes: GTIN-12 (UPC), GTIN-13 (EAN-13), GTIN-14 (EAN/UCC-128 or ITF-14), and GTIN-8 (EAN-8). The original form of bar code was the UPC (Universal Product Code). Because the UPC system was only intended for use in North America, the EAN (European Article Number) was developed to allow overseas retailers to sell their products. Today, most retailers accept both identifiers. Since GTIN numbers have 14 digits, in many cases pre-existing shorter codes (such as the UPC and EAN), are “padded” by adding zeros to the left side of the bar code, amounting to a total of 14 digits. 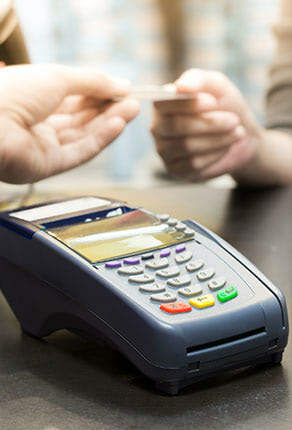 For most retail applications you shouldn’t have to add these extra leading zeros. Are you looking to purchase bar codes or license them? All bar code numbers (GTIN’s) originate from GS1, formerly known as the UCC. Although since 2002 GS1 does not sell GTIN’s outright any longer, they license them directly to consumers. Note that they only license bar codes in bulk. This means that if you have a single product and get your bar codes from GS1, you will need to license a minimum of 10 bar codes, at a minimum cost of $250. From there, you will need to pay a yearly renewal fee of at least $50 or forfeit your right to use the code. At Bar Codes Talk, we have been securing high quality bar codes for our clients at low prices for over 20 years. We have already purchased our bar codes in bulk, so we are able to sell them to our customers one at a time. Best of all our inventory of GTIN’s is from GS1-USA prior to when they started charging renewal fees in 2002. For our customers, this means that they will own their codes for life and never be charged renewal fees on the bar codes purchased through Bar Codes Talk. Additionally, we always guarantee that our bar codes will work as advertised. Whether you’re selling your products in-store or online, Bar Codes Talk has the UPC’s and EAN’s you need. Whatever the type of GTIN you need to purchase, we’ve got you covered. For more information about our company, visit our website today. Do you have questions about buying a bar code? Contact our team and we’ll be sure to help. To date, we’ve sold over 100 million bar codes to a loyal, satisfied customer base.